PIANO TECHNIQUE DEMYSTIFIED: Crossing Hands at the Piano: Jascha Heifetz and "Frère Jacques"
Crossing Hands at the Piano: Jascha Heifetz and "Frère Jacques"
tongue wrap itself into a series of knots. But no matter, without so much as cracking a smile, he calmly explained as if it were the most normal of circumstances that he had been teaching Kerr how to play the round with hands crossed. And without stopping for a response, he strode across the hall and disappeared into his studio. It's not so easy. Try it. 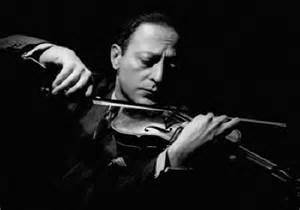 Heifetz could play the piano tolerably well. I suspect he thought this exercise would help develop something or other pianistically—coordination, independence—I don't really know. But as you know, gentle reader, if you've been paying attention to this blog, I am not a fan of practicing X in order to achieve Y. If you want some crossed-hands experience, look at Mozart K. 331, first-movement variations. Even in the Mozart, I might look for opportunities to uncross. 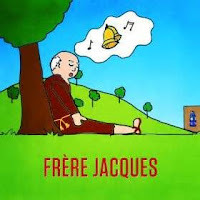 In the Frère Jacques example, it isn't necessary to cross the hands, so there's really no reason to do it—except, oh, well, it's kind of fun. Kerr took great delight in showing me what she and Heifetz had been doing. I tried it. Fortunately, though, she didn't make me practice it. Pianistic Ancestry: Schools of Influence?